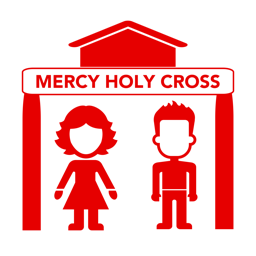 At Holy Cross Mercy we expect the children to come to school every day in full unform. The uniform can be bought in Lynes shop on High Street they can be contacted on (064) 6631146 http://www.lynesofkillarney.com. Uniforms can also be bought from www.SchoolBox.ie. The uniform for girls consists of a red shirt, grey and red tie, grey pinafore, ed Jumper, black tights and black shoes. Pumps, Ugg boots and sneakers are not permitted. Jewellery permitted is one pair of stud earrings. For Boys the uniform consists of grey trousers, a red shirt, grey and red tie, grey jumper and black shoes. On PE days twice a week the children are permitted to wear the uniform tracksuit. This is different for girls and boys. This may also be bought in the above shops. The children must wear proper sports shoes on PE days. Fruit and vegetable group : Some typical choices are a whole fruit, a fruit juice drink, vegetable soup, salad, or cooked/raw vegetables. Dairy group : Milk, cheese or yoghurt. Protein-rich food : Meat, chicken, fish, egg, beans, peas, lentils or cheese.